Frederick W. Kagan, who holds a B.A. in Soviet and East European studies and a Ph.D. in Russian and Soviet military history from Yale University , is a resident scholar at the conservative think tank the American Enterprise Institute (AEI). In February, 2009 Kagan strongly urged President Obama to lead a bi-partisan escalation of the US war in Afghanistan . On April 3, 2009 he participated in a forum titled A New Way Forward in Afghanistan sponsored by the liberal think tank Center for American Progress, also a supporter of the Afghanistan escalation, to launch their report titled Sustainable Security in Afghanistan. CAP's founder and executive director is John Podesta. 2 "Choosing Victory: A Plan for Success in Iraq"
Kagan is "a widely published military historian who served as a professor at the United States Military Academy at West Point from 1995 until 2005. This assignment put him into close contact with many of the 'thinkers' of the United States Army, both active duty and retired, such as" General Barry McCaffrey, "now himself a professor at West Point," John E. Carey wrote December 27, 2006, in the Peace Journalism e-magazine. Kagan, who "participated in dozens of panel discussions, strategy development sessions and war games" at West Point, is "the author of AEI's most recent 'surge plan' that would put four additional Army brigades into Baghdad and two additional Marine regimental combat teams into Sunni-dominated Anbar Province, in an effort to curtail Iraqi violence," Carey wrote. "Kagan is known to have the president’s ear and has briefed several times to [Bush] administration officials including at the White House." "If Mr. Clinton is serious about protecting us and our allies from Iraqi biological and chemical weapons, he will order ground forces to the gulf. Four heavy divisions and two airborne divisions are available for deployment. The President should act, and Congress should support him in the only policy that can succeed." "Choosing Victory: A Plan for Success in Iraq"
"Victory in Iraq is still possible at an acceptable level of effort. We must adopt a new approach to the war and implement it quickly and decisively." "We must change our focus from training Iraqi soldiers to securing the Iraqi population and containing the rising violence. Securing the population has never been the primary mission of the U.S. military effort in Iraq, and now it must become the first priority. "We must send more American combat forces into Iraq and especially into Baghdad to support this operation. A surge of seven Army brigades and Marine regiments to support clear-and-hold operations starting in the spring of 2007 is necessary, possible, and will be sufficient. "These forces, partnered with Iraqi units, will clear critical Sunni and mixed Sunni-Shi’a neighborhoods, primarily on the west side of the city. "After the neighborhoods have been cleared, U.S. soldiers and Marines, again partnered with Iraqis, will remain behind to maintain security. "As security is established, reconstruction aid will help to reestablish normal life and, working through Iraqi officials, will strengthen Iraqi local government." "If we surge and it doesn't work, it's hard to imagine what we do after that ... But we're already in a very bad spot, and if we don't do anything defeat is imminent." "The very fact that so many differing strategies for Iraq are being proposed now should be your first clue that there are no good ones: no silver bullets, no wooden stakes, no garlic necklaces. What we're conducting now is akin to what in health care is sometimes called 'opening the medicine cabinet.' The patient is so critically ill that there's nothing left to do but try every drug in the arsenal and hope one of them does the trick. It's a desperation move," Jeff Huber commented December 13, 2006, in the Daily Kos. Matthew Yglesias commented October 25, 2006, on what he calls the "Shorter Fred Kagan": "We've screwed up so much, so badly in Iraq that we can ill-afford to stop screwing up." "Jim Lobe described the book in an article entitled Family Ties Connect U.S. Right, Zionists, published [March 9, 2003,] in Pakistan's English-language newspaper, Dawn. 'This was a clarion call on Washington—which was already spending more on arms than the 13 next biggest militaries combined—to increase its defense spending sharply lest it find itself, like Britain in the late 1930s, unable to face down a new Hitler,' Lobe wrote. 'Since then, both men have published reams of columns warning that Washington must immediately increase military spending by at least 25 percent to keep up with its global responsibilities'," Richard H. Curtiss wrote in the September 2004 issue of Washington Report on Middle East Affairs. Finding the Target: The Transformation of American Military Policy, Encounter Books, November 2006, ISBN 1594031509. Edited with Major Christian Kubik, Leaders in War. West Point remembers the 1991 Gulf War, Frank Kass Publications, July 2005, ISBN 0415407842 / ISBN 9780415407847. Edited with Robin D. Higham, Military History of Tsarist Russia and the Military History of the Soviet Union, Palgrave Macmillan, March 2002, ISBN 0312294123 / ISBN 9780312294120. Edited with Robin D. Higham, The Military History of the Soviet Union (Textbook), Palgrave Macmillan, February 2002, ISBN 0312293984. Editor, The Military History of Tsarist Russia (Textbook), Palgrave Macmillan, February 2002, ISBN 0312226357 / ISBN 9780312226350. The End of the Old Order. Napoleon and Europe, 1801-1805, Perseus Books Group/Da Capo Press, July 10, 2006, ISBN 9780306811371 / ISBN 0306811375. About the book, Perseus Books Group profile. With Donald Kagan, While America Sleeps: Self-Delusion, Military Weakness and the Threat to Peace Today, St. Martin's Press, 2000, ISBN 0312283741 / ISBN 9780312283742. About this book, Holzbrinck Academic Marketing. Military Reforms of Nicholas I: The Origins of the Modern Russian Army, St. Martin's Press, April 1999, ISBN 0312219288 / ISBN 9780312219284. 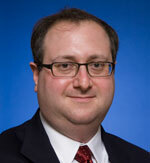 Profile: Frederick Kagan, American Enterprise Institute. Profile: Frederick Kagan, Writers' Reps, LLC. Profile: Frederick Kagan in RightWeb. Profile: Fred Kagan, Cooperative Research. Grants (1997-2004) re Frederick W. Kagan, Media Transparency. Frederick Kagan in the Wikipedia. Statement of Dr. Frederick W. Kagan, Associate Professor of Military History, United States Military Academy, Before the 108th Congress, House Armed Services Committee, February 26, 2003. Posted by GlobalSecurity.org. "The Invasion of Iraq. Interview with Frederick W. Kagan," PBS Frontline, January 29, 2004. "Exiting Iraq: Frederick Kagan's View," NPR Weekend Edition, July 22, 2006. Transcript: American Morning, CNN, October 23, 2006. Scroll down to near end of transcript. Transcript: American Morning, CNN, October 27, 2006. Scroll down to near end of transcript. "U.S. Should Increase Troops in Iraq, Military Historian Says," PBS Online NewsHour with Jim Lehrer, November 1, 2006. "The Redeployment Method," NPR On the Media, November 17, 2006. "Analysts Debate Proposal to Increase Troop Levels in Iraq," PBS Online NewsHour, December 20, 2006. "Surge Overkill," NPR On the Media, December 22, 2006. Jim Lobe, "Pump Up the Pentagon, Hawks Tell Bush," Foreign Policy in Focus, January 28, 2003. Gary Dorrien, "Axis of One: The 'Unipolarist' Agenda," The Christian Century, March 8, 2003, pp. 30-35. Written in 1997. Jim Lobe, "Family ties connect US right, Zionists," Dawn (Pakistan), March 9, 2003. Richard H. Curtiss, "Robert Kagan: Honeyed Words and Neat Phrases, With a Neoconservative Twist," Washington Report on Middle East Affairs, September 2004. Scroll down to article. "Is Frederick Kagan Asleep?" POTUS Blog/History News Network, December 24, 2004. Also see Brian Page's January 31, 2005, comment "Fred Kagan must be laughing now". Douglas Hanson, "Fighting the SecDef instead of fighting the war," American Thinker, January 10, 2005. Andrew J. Bacevich, "New Boys in Town. The Neocon Revolution and American Militarism," TomDispatch.com, April 22, 2005. Preface "Tomgram: Bacevich on the Neocon Revolution and Militarism" by Tom Engelhardt. Philip Kennicott, "Yale Historian Donald Kagan, Mixing the Old And the Neo," Washington Post, May 13, 2005. Jeff Huber, "Pavlov's Academics of War," Main and Central, October 26, 2005. "Iraq War Cheerleaders - Fred Kagan and Bill Kristol," The Dishpan Chronicles Blogspot, April 11, 2006. Press Gaggle by Dan Bartlett, Camp David, Office of the White House Press Secretary, June 12, 2006. Gregory Djerejian, "Iraq in the Late Autumn of Bush's Presidency," The Belgravia Dispatch, June 13, 2006. "Does Napoleon’s France Give Clues on Iran, North Korea?" WSJ Washington Wire Blog, June 27, 2006. MYTWORDS, "That Elusive Victory," NPR Check Blogspot, July 22, 2006. Spencer Ackerman, "Final Fantasy. Fred Kagan's disastrous plan for 'victory' in Iraq," The American Prospect Online, December 15, 2006; posted by CBS News, December 17, 2006. Andrew Sullivan, "The Fred Kagan Plan," The Daily Dish/TIME Blog, December 16, 2006: "... looks like it may emerge as the Bush-McCain strategy in Iraq: the double-down strategy aimed at restoring order, critically in Baghdad, before any political solution can be tried." Jeff Huber, "Iraq: Winds of More War," Booman Tribune, December 16, 2006; cross-posted at Pen and Sword. BarbinMD, "Fred Kagan Explains 'The Surge'," Daily Kos, December 17, 2006; posted by After Downing Street, December 30, 2006.
smintheus, "Words of wisdom from Fred Kagan," unbossed.com, December 18, 2006. Lurch, "Mr Kagan Refines the Schlieffen Plan," Main and Central, December 18, 2006. Paul Campos, "The Rascals are Still In Charge," Rocky Mountain News (Common Dreams), December 19, 2006. Lawrence J. Korb and Max Bergmann, "Surging to Disaster. Want to break the back of the U.S. military while failing to accomplish anything new in Iraq? Send in more troops," The American Prospect Online, December 20, 2006. Sidney Blumenthal, "Behind Bush's 'new way forward'. A battered group of neocons delivered the president his latest war plan, letting him reject the grave warnings of the Iraq Study Group and deny that we're losing the war," Salon, December 20, 2006. Fred Kaplan, "The Urge to Surge. The latest bad idea for Iraq," Slate, December 20, 2006. Mash, "Avoiding Kaganistan," TaylorMarsh.com, December 20, 2006. Guy Raz, "Rival Iraq Report Wins Attention in Washington," NPR Morning Edition, December 21, 2006. Jim Lobe, "The Urge to Surge," Antiwar.com, December 21, 2006. Jeff Huber, "Iraq: the Generals Ebb on the Surge Option," Booman Tribune, December 24, 2006. John E. Carey, "Who Is Shaping White House and Pentagon Thinking on the Next Steps In Iraq and Iran?" Peace Journalism, December 27, 2006. Joshua Holland, "End the occupation of Iraq; send Fred Kagan to Vegas … What every blackjack player knows," AlterNet, December 27, 2006. Paul C. Campos, Commentary: "Failure only encourages more excess from neocons," Albuquerque Tribine, December 28, 2006. "Bush, Key Advisers Crafting New Iraq Policy," NewsMax, December 28, 2006. Jeff Huber, "Iraq: Pace Pops the Cork on Neocon Troop Surge?" Daily Kos, December 28, 2006; posted as "Have a Neocon New Year," Pen and Sword Blogspot, December 30, 2006. Jeffrey Steinberg, "'Chickenhawk Down': The Real Target Is Iran," Dissident News, December 31, 2006. Yochi J. Dreazen and Greg Jaffe, "Calibrating a Troop 'Surge'. If More Soldiers Go to Iraq, How Long Should They Stay?" Wall Street Journal Online, January 2, 2007. Jeff Huber, "Iraq: Casey Strikes Out, Bush Can't Define Victory," Daily Kos, January 2, 2007. Paul Craig Roberts, "Keane/Kagan Plan Means More Bloodshed," Antiwar.com, January 3, 2007. Robert Dreyfuss, "The Surge to Nowhere. Traveling the Planet Neocon Road to Baghdad (Again)," TomDispatch.com, January 4, 2007. Preface "Tomgram: Dreyfuss on Bush's Wizard-of-Oz Iraq Plan" by Tom Engelhardt. "Shuffling and surging. Awaiting a shake-up of American military and diplomatic personnel, and news that more troops might go to Iraq," Economist.com, January 5, 2007. Mark Benjamin, "The real Iraq Study Group. Forget Jim Baker's crew. The neocon hawks who sold the war, joined by John McCain and Joe Lieberman, unveiled their new plan for 'victory': At least 25,000 new troops in combat roles well into 2008," Salon, January 6, 2007. "Taking Baghdad: Kagan-Keane OPLAN for '07," CDR Salamander Blogspot, January 6, 2007. Kevin Ryan, Opinion: "The Troop Surge That Wasn't," Boston Globe, January 6, 2007. Ari Berman, "Selling the Surge," The Nation, January 6, 2007. Kevin Horrigan, "21st Century American History," St. Louis Post-Dispatch, January 7, 2007. Comment: "More troops to save Baghdad," Times Online (UK), January 7, 2007. Peter Spiegel, Opinion: "Behind troop surge, a neocon force. Group of war's intellectual architects seem to be getting their way on a surge in U.S. troops and a more focused counterinsurgency effort," Los Angeles Times (Austin American-Statesman), January 7, 2007. John Teague, "The Iraq 'Surge' Policy And Why You Should Know Frederick Kagan," The Partisan Blast, January 7, 2007. Mash, "Prelude to a Massacre," Or How I Learned to Stop Worrying, January 7, 2007; cross-posted at TaylorMarsh.com. Don Thieme, "We Can Win in Iraq and We Must!, Life Cycle Analysis Blogspot, January 7, 2007. Woody Guthrie's Guitar (aka Konopelli), "Fred Kagan: The Face Of The New Heroic Class," Walled-In Pond Blogspot, January 7, 2007. Peter Spiegel, "Neocons regain voice as Bush rethinks Iraq," Los Angeles Times (Seattle Times), January 8, 2007. Glenn Greenwald, "ATTENTION: War supporters - your country needs you. (updated below - updated again - updated again with responses)," Unclaimed Territory Blogspot, January 8, 2007. Jerome Corsi, "War with Iran is imminent," WorldNetDaily, January 8, 2007. "Kristol's first Time column contradicted by Time's own reporting," Media Matters for America, January 9, 2007. Chrish, "Troop 'surge' planner says increase will be sustained rather than short," News Hounds, January 10, 2007. "William Kristol and Frederick Kagan - CHICKEHAWKS EXTRAORDINAIRE," The Dishpan Chronicles Blogspot, January 10, 2007. Jason Leopold, "The Architect of Mr. Bush's Plan," truthout, January 11, 2007. "Whose ideas penetrated?" south by southwest Blogspot, January 12, 2007. Louise Roug and Peter Spiegel, "Iraqi leader goes own way to fill top post. He picks an unknown to lead forces in Baghdad, which raises questions about his motives," Los Angeles Times, January 13, 2007. Mark Coultan, "Bush has a plan, but no backers," The Age (Australia), January 13, 2007. "Fred Kagan and Jack Keane: Bush's escalation 'likely to fail'," Over the line, Smokey! Blog, January 14, 2007. The Angry Rakkasan, "Frederick Kagan is an Unqualified Fraud: Read His CV Here," Daily Kos, January 14, 2007; cross-posted January 15, 2007, at ePluribus Media. Jeff Huber, "'Glittering Joe' Lieberman on Iraq," Pen and Sword Blogspot, January 14, 2007. Gregory Djerejian, "'Surge' Math," The Belgravia Dispatch, January 14, 2007. Rupert Cornwell, "Bush faces mutiny over extra troops for Iraq," The Independent (UK), January 15, 2007. "From surge to SNAFU, in less than a week," Over the line, Smokey! Blog, January 15, 2007. Bill Gallagher, "Our Delusional President Preferring Yes-Men, Yes-Women, Yes-Generals," Niagara Falls Reporter, January 16, 2007. Satyam Khanna, "Escalation Architect Kagan: ‘Whatever You Can Say About The Current Strategy, It Has Not Failed’," Think Progress, July 9, 2007. Nine principles the Obama administration should follow], NationalReviewOnline, February 9, 2009. Wikipedia also has an article on Frederick Kagan. This article may use content from the Wikipedia article under the terms of the GFDL. This page was last edited on 15 July 2012, at 18:07.